The "Background Noise" podcast series focuses on the music that artists listen to when they work, what music inspires them, or just music they like. This week, in Episode 21, the focus is on Colombian street artist Stinkfish. 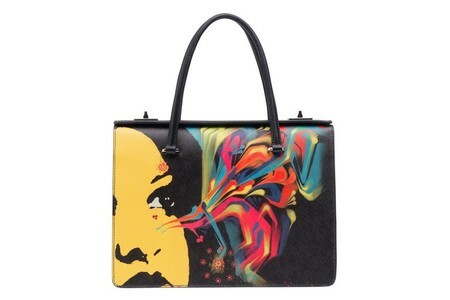 I'm still completely amazed that I was able to get Stinkfish for this project. 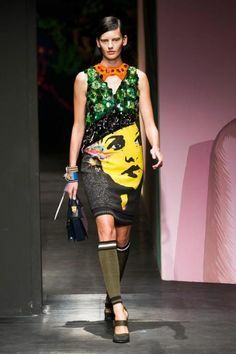 I had initially thought it would remain a pipe dream after Miuccia Prada, heiress to the hugely successful Prada company chose a Stinkfish image to be prominently displayed on walls, models and handbags in their stores. Prada has an eye for art, and counts Cindy Sherman as a personal friend, on top of owning some very expensive Damien Hirst pieces. 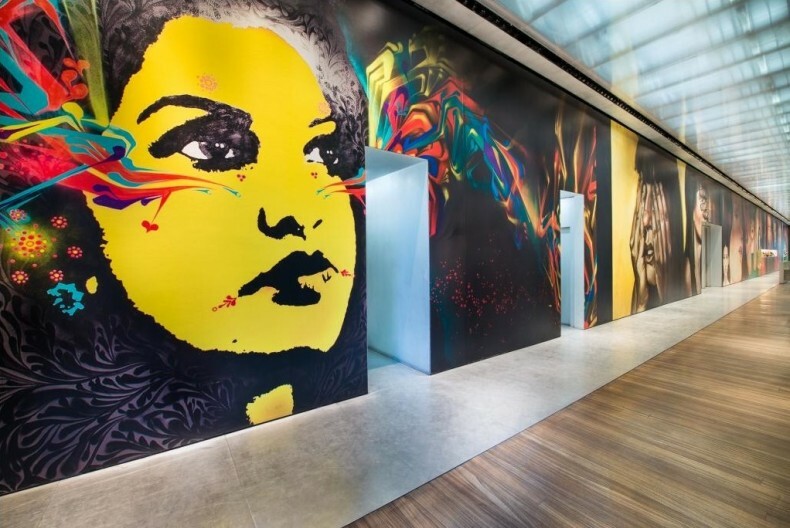 Now that she had Mexican-born, Colombia-raised artist Stinkfish in her grips, I figured he was untouchable. Until it occurred to me that there was a particular artist who had already done a Background Noise mix who might have a connection to him. Sure enough, he did and by the next morning, I had an email from Stinkfish waiting for me in my inbox, expressing his excitement in compiling some songs for me. Stinkfish has been on the street art scene for years, and is best known for creating beautiful, psychedelic stencil art based off of photos he finds on his travels or photos he himself takes of random pedestrians, often choosing large public walls to display his work, and often using very bright and eye catching colors. Now that I think of it, aside from the rare Stinkfish hand-painted stickers that popped up on my street this week (pictured left), I haven't seen any of his work here in NYC. I was thrilled to find a few great pieces of his on my honeymoon in Paris in 2012 though (the main image at the top here being one of them). I'm not sure if these were commissioned pieces or not. If they weren't, and he had to create these highly detailed pieces under cover of night in at high speed so as not to get caught, I commend him. Either way, it takes talent to put these beautiful works of art together. Really important, the lyrics, the noise, the company. Walk around the city listening loud music its a perfect way to learn about the streets. Stream his Background Noise mix below, download it here, or subscribe to the Background Noise podcast on iTunes. And as always, like Background Noise on Facebook for updates on future episodes.